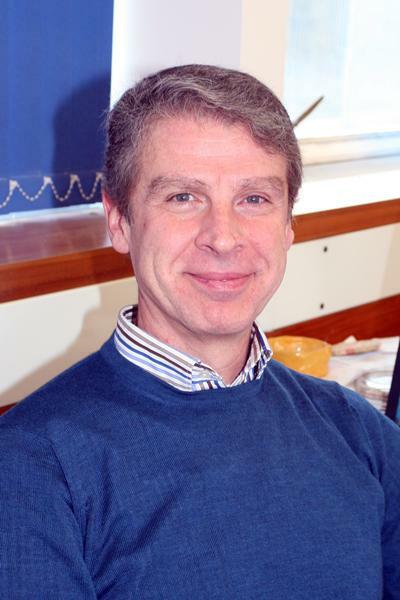 Professor Constantine Sedikides is Professor of Social and Personality Psychology within Psychology Department at University of Southampton. Constantine Sedikides’ research is on self and identity (including narcissism) and their interplay with emotion (especially nostalgia) as well as motivation, close relationships, and group or organizational processes. This research has been supported by grants from many national and international funding agencies, such as Economic and Social Research Council, Leverhulme Trust, British Academy, and National Institute of Health. The research has culminated in approximately 400 articles or chapters and 15 volumes. He has received several awards, including Daniel M. Wegner Theoretical Innovation Prize (Society for Personality and Social Psychology), Distinguished Lifetime Career Award (International Society for Self and Identity), Kurt Lewin Medal for Outstanding Scientific Contribution (European Association of Social Psychology), and The Presidents’ Award for Distinguished Contributions to Psychological Knowledge (The British Psychological Society). Before joining University of Southampton as Director of the Centre for Research on Self and Identity, Constantine taught at University of Wisconsin-Madison, USA, and University of North Carolina at Chapel Hill, USA. He holds a BA from Aristotle University of Thessaloniki, Greece, and a PhD from The Ohio State University, USA. For more information visit Professor Constantine Sedikides own website and Professor Sedikides Google Scholar Page. the self-relevant emotion of nostalgia. Research in these and other topics has resulted in over 200 publications, as well as 11 volumes. Nostalgia This website presents a brief overview of the emotion of nostalgia. I am Head of the Social and Personality Psychology Research Group (founded in 1999) and the Director of the Centre for Research on Self and Identity (founded in 2000).I am also a member of several committees, such as the Psychology Management Group and the Research and Enterprise Committee. Dimitriadou, M., Maciejovsky, B., Wildschut, T., & Sedikides, C. (Accepted/In press). Collective nostalgia and domestic country bias. Journal of Experimental Psychology: Applied. Abakoumkin, G., Hepper, E., Wildschut, T., & Sedikides, C. (Accepted/In press). From nostalgia through social connectedness to self-continuity. Hellenic Journal of Psychology. Parise, M., Pagani, A., Donato, S., & Sedikides, C. (Accepted/In press). Self-concept clarity and relationship quality at the dyadic level. Personal Relationships. Sedikides, C., Lenton, A., Slabu, L., & Thomaes, S. (Accepted/In press). Sketching the contours of state authenticity. Review of General Psychology. Cheung, W-Y., Wildschut, R., & Sedikides, C. (Accepted/In press). Autobiographical memory functions of nostalgia in comparison to rumination: Similarity and uniqueness. Memory. Gebauer, J., Schrade, A., & Sedikides, C. (Accepted/In press). Christian self-enhancement. Journal of Personality and Social Psychology. Sedikides, C., & Wildschut, R. (Accepted/In press). Finding meaning in nostalgia. Review of General Psychology. Sedikides, C., & Guinote, A. (Accepted/In press). How status shapes social cognition. Social Cognition. Steinmetz, J., Sezer, O., & Sedikides, C. (Accepted/In press). Impression mismanagement: people as inept self-presenters. Social and Personality Psychology Compass. Van Tilburg, W. A. P., Wildschut, T., & Sedikides, C. (Accepted/In press). Nostalgia’s place among self-conscious emotions. Cognition and Emotion. Sedikides, C. (Accepted/In press). Enhancing feedback and improving feedback: subjective perceptions, psychological consequences, behavioral outcomes. Journal of Applied Social Psychology. Thomaes, S., Sedikides, C., Van den Bos, N., Hutteman, R., & Reijntjes, A. (Accepted/In press). Happy to be “me”? Authenticity, psychological need satisfaction, and subjective well-being in adolescence. Child Development, 1-26. Gregg, A. P., Mahadevan, N., & Sedikides, C. (Accepted/In press). Intellectual arrogance and intellectual humility: Correlational evidence for an evolutionary-embodied-epistemological account. The Journal of Positive Psychology, 1-40. Abeyta, A. A., Routledge, C., & Sedikides, C. (Accepted/In press). Material meaning: narcissists gain existential benefits from extrinsic goals. Social Psychological and Personality Science, 1-29. Sedikides, C., Green, J. D., Saunders, J., Skowronski, J. J., & Zengel, B. (Accepted/In press). Mnemic neglect: selective amnesia of one’s faults. European Review of Social Psychology, 1-78. Matosic, D., Boardley, I. D., Stenling, A., & Sedikides, C. (Accepted/In press). Narcissistic coaching and athletes’ attitudes toward doping: a multilevel process model. Journal of Sport and Exercise Psychology, 1-34. Sedikides, C., & Campbell, W. K. (Accepted/In press). Narcissistic force meets systemic resistance: The Energy Clash Model. Perspectives on Psychological Science, 1-58. Sedikides, C. (Accepted/In press). Organizational nostalgia increases work meaning and mitigates the negative effects of burnout on turnover intentions. Journal of Occupational Health Psychology. Gebauer, J., Sedikides, C., Schonbrodt, F. D., Bleidorn, W., Rentfrow, P. J., Potter, J., & Gosling, S. D. (Accepted/In press). Religiosity as social value: replication and extension. Journal of Personality and Social Psychology, 1-74. Blackie, L. E. R., Cozzolino, P. J., & Sedikides, C. (Accepted/In press). Specific and individuated death reflection fosters identity integration. PLoS ONE, 1-34. Zhou, X., Wildschut, T., Sedikides, C., Chen, X., Yat-Sen, S., & Vingerhoets, J. J. M. (Accepted/In press). Heartwarming memories: nostalgia maintains physiological comfort. Emotion. Wildschut, T., Sedikides, C., & Routledge, C. (2008). Nostalgia: from cowbells to the meaning of life. The Psychologist, 21, 20-23. Brebels, L., De Cremer, D., & Sedikides, C. (2008). Retaliation as a response to procedural unfairness: a self-regulatory approach. Journal of Personality and Social Psychology, 95(6), 1511-1525. Green, J., & Sedikides, C. (2004). Retrieval selectivity in the processing of self-referent information: testing the boundaries of self-protection. Self and Identity, 3(1), 69-80. Sedikides, C. (2003). On the status of self in social prediction: comment on Karniol. Psychological Review, 110(3), 591-594. Neiss, M., Stevenson, J., & Sedikides, C. (2003). The genetic bases of optimal self-esteem. Defect and Diffusion Forum, 14, 63-65. Sedikides, C. (Ed.) (2002). [Special issue]. Soi et identité. Self and identity: social psychological perspectives. Revue Internationale De Psychologie Sociale, 15(3-4), 192pp. Sedikides, C., & Herbst, K. C. (2002). How does accountability reduce self-enhancement? The role of self-focus. Revue Internationale De Psychologie Sociale: Soi et Identité, 15(3-4), 113-128. Campbell, W. K., Rudich, E., & Sedikides, C. (2002). Narcissism, self-esteem, and the positivity of self-views: two portraits of self-love. Personality and Social Psychology Bulletin, 28(3), 358-368. Fleury, J., Sedikides, C., & Donovan, K. D. (2002). Possible health selves of older African Americans: toward increasing the effectiveness of health promotion efforts. Topics in Geriatric Rehabilitation, 18(1), 52-58. Sedikides, C. (2002). Self and identity: let one thousand flowers bloom. Revue Internationale De Psychologie Sociale, 15(1), 5-8. Dauenheimer, D. G., Stahlberg, D., Spreeman, S., & Sedikides, C. (2002). Self-enhancement, self-verification or self-assessment? The intricate role of trait modifiability in the self-evaluation process. Revue Internationale De Psychologie Sociale, 15(3-4), 89-112. Sedikides, C. (2002). Self-esteem: a behavioural genetic perspective. Defect and Diffusion Forum, 16, 351-367. Gaertner, L., Sedikides, C., Vevea, J., & Iuzzini, J. (2002). The "I," the "We," and the "When": a meta-analysis of motivational primacy in self-definition. Journal of Personality and Social Psychology, 83(3), 574-591. Lipkus, I., Green, J. D., Feaganes, J. R., & Sedikides, C. (2001). The relationship between attitudinal ambivalence and desire to quit smoking among college smokers. Journal of Applied Social Psychology, 31(1), 113-133. Pemberton, M., & Sedikides, C. (2001). When do individuals help close others improve? The role of information diagnosticity. Journal of Personality and Social Psychology, 81(2), 234-246. Green, J. D., & Sedikides, C. (2001). When do self-schemas shape social perception? : The role of descriptive ambiguity. Motivation and Emotion, 25(1), 67-83. Fleury, J., Sedikides, C., & Lunsford, V. (2001). Women's experience following a cardiac event: the role of the self in healing. Journal of Cardiovascular Nursing, 15(3), 71-82. Gregg, A. P., Hepper, E. G., & Sedikides, C. (1970). Assessing to improve and verifying to enhance: measuring, validating, and connecting self-motives. Self and Identity. Gregg, A. P., & Sedikides, C. (1970). Implicit self-esteem and narcissism: rethinking the link. Journal of Personality and Social Psychology. Sedikides, C. (2013). The self-serving bias in relationships: case study on the evolution of a research program. Aalborg, DK: Aalborg University Press. Sedikides, C., & Spencer, S. (Eds.) (2007). The Self. (Frontiers of Social Psychology). New york, USA: Psychology Press. Skowronski, J. J., & Sedikides, C. (2019). Evolution of self. In T. K. Shackelford, & V. Weekes-Shackelford (Eds. ), Encyclopedia of Evolutionary Psychological Science Springer International Publishing. Gregg, A., Pegler, A., & Sedikides, C. (2019). Self-esteem and social status: Dominance theory and hierometer theory. In T. K. Shackelford, & V. Weekes-Shackelford (Eds. ), Encyclopedia of Evolutionary Psychological Science (1 ed.). Springer International Publishing. Robinson, M. D., & Sedikides, C. (Accepted/In press). Personality and the self. In P. J. Corr, & G. Matthews (Eds. ), The Cambridge Handbook of Personality Psychology. 2nd Edition (2 ed.). (Cambridge University Press handbook of personality (2nd ed.). ). Cambridge, UK: Cambridge University Press..
Sedikides, C., & Alicke, M. D. (Accepted/In press). The five pillars of self-enhancement and self-protection. In R. M. Ryan (Ed. ), The Oxford Handbook of Motivation Oxford University Press. Gebauer, J., & Sedikides, C. (Accepted/In press). Agency and communion in grandiose narcissism. In A. E. Abele, & B. Wojciszke (Eds. ), Agency and Communion in Social Psychology Routledge. Gebauer, J., & Sedikides, C. (Accepted/In press). Communal narcissism: theoretical and empirical support. In A. E. Abele, & B. Wojciszke (Eds. ), Agency and Communion in Social Psychology Abingdon: Routledge. Sedikides, C., Hart, C. M., & Cisek, S. Z. (Accepted/In press). Narcissistic consumption. In T. Hermann, A. Brunnell, & J. Foster (Eds. ), The Handbookof Trait Narcissim: Key Advances, Reseach Methods, and Controversies New York: Springer New York. Sedikides, C., Wildschut, R., Juhl, J., & Cheung, W-Y. (Accepted/In press). The psychological functions of nostalgia. In F. Grouzet (Ed. ), Oxford handbook of Psychology of Time Travel and Temporality Oxford University Press. Hart, C. M., Hepper, E. G., & Sedikides, C. (Accepted/In press). Understanding and mitigating narcissists’ low empathy. In T. Hermann, A. Brunell, & J. Foster (Eds. ), The handbook of trait narcissism: Key advances, research methods, and controversies New York: Springer New York. Brummelman, E., Gurel, C., Thomaes, S., & Sedikides, C. (Accepted/In press). What separates narcissism from self-esteem? A social-cognitive analysis. In T. Hermann, A. Brunell, & J. Foster (Eds. ), The Handbook of trait narcissim: Key advances, research methods and controversies Springer New York. Sedikides, C., & Gregg, A. P. (Accepted/In press). Essential self-evaluation motives: caring about who we are. In M. van Zomeren, & J. Dovidio (Eds. ), The Handbook of the Human Essence Oxford, GB: Oxford University Press. Thomaes, S., Brummelman, E., & Sedikides, C. (Accepted/In press). Narcissism: a social-developmental perspective. In V. Zeigler-Hill, & T. Shackelford (Eds. ), The SAGE Handbook of Personality and Individual Differences (pp. 1-40). New York, US: SAGE. Gebauer, J. E., Sedikides, C., Leary, M. R., & Asendorpf, A. B. (2015). Lay beliefs in true altruism versus universal egoism. In C. B. Miller, R. M. Furr, A. Knobel, & W. Fleeson (Eds. ), Character: New Directions from Philosophy, Psychology and Theology (pp. 75-99). New York, US: Oxford University Press. Sedikides, C., & Wildschut, T. (Accepted/In press). Nostalgia. In S. Lopez (Ed. ), The Encyclopedia of Positive Psychology (2nd edition) London, GB: Wiley. Schoel, C., Stahlberg, D., & Sedikides, C. (2015). Psychological insecurity and leadership styles. In P. J. Carroll, R. M. Arkin, & A. L. Wichman (Eds. ), Handbook of Personal Security Abingdon, GB: Taylor & Francis. Sedikides, C., Hoorens, V., & Dufner, M. (2015). Self-enhancing self-presentation: interpersonal, relational, and organizational implications. In F. Guay, H. Marsh, D. M. McInerney, & R. G. Craven (Eds. ), Self-Concept, Motivation and Identity: Underpinning Success with Research and Practice (pp. 29-55). (International Advances in Self Research; No. 5). Charlotte, US: Information Age. Gregg, A. P., & Sedikides, C. (2014). Self-enhancement. In A. C. Michalos (Ed. ), Encyclopedia of Quality of Life and Well-Being Research New York, US: Springer. Routledge, C., Sedikides, C., Wildschut, T., & Juhl, J. (2013). Finding meaning in one's past: nostalgia as an existential resource. In K. D. Markman, T. Proulx, & M. J. Lindberg (Eds. ), The Psychology of Meaning (pp. 297-316). Washington, US: American Psychological Association. Sedikides, C., Hart, C. M., Cisek, S. Z., & Routledge, C. (2013). Finding meaning in the mirror: the existential pursuits of narcissists. In J. A. Hicks, & C. Routledge (Eds. ), The Experience of Meaning in Life. Classical Perspectives, Emerging Themes, and Controversies (pp. 189-200). Dordrecht, NL: Springer. Sedikides, C., & Gebauer, J. E. (2013). Religion and the self. In V. Saroglou (Ed. ), Religion, Personality, and Social Behavior (pp. 46-70). Abingdon, GB: Psychology Press. Sedikides, C., & Skowronski, J. J. (2012). Construct accessibility and interpretation of self-behaviors: tracing and reducing the signatures of self-protection and self-enhancement. In J. P. Forgas, K. Fiedler, & C. Sedikides (Eds. ), Social Thinking and Interpersonal Behavior (Sydney Symposium in Social Psychology). New York, US: Psychology Press. Sedikides, C., & Alicke, M. D. (2012). Self-enhancement and self-protection motives. In R. M. Ryan (Ed. ), The Oxford Handbook of Human Motivation (pp. 303-322). New York, US: Oxford University Press. Forgas, J. P., Fielder, K., & Sedikides, C. (2012). Social thinking and interpersonal behavior: classical theories and contemporary approaches. In J. P. Forgas, K. Fiedler, & C. Sedikides (Eds. ), Social Thinking and Interpersonal Behavior (pp. 1-20). (Sydney Symposium in Social Psychology). New York, US: Psychology Press. Gregg, A. P., Sedikides, C., & Gebauer, J. E. (2011). Dynamics of identity: between self-enhancement and self-assessment. In S. J. Schwartz, K. Luyckx, & V. L. Vignoles (Eds. ), Handbook of Identity Theory and Research New York, US: Springer. Sedikides, C., Cisek, S. S., & Hart, C. (Accepted/In press). Narcissists as consumers. In J. D. Miller, & W. K. Campbell (Eds. ), The Handbook of Narcissism and Narcissistic Personality Disorder: Theoretical Approaches, Empirical Findings, and Treatments Oxford, GB: Wiley. Sedikides, C. (2011). The causal structure of person types and stereotypes. In R. Arkin (Ed. ), Most Underappreciated: 50 Prominent Social Psychologists Describe Their Most Unloved Work (pp. 228-232). Oxford, GB: Oxford University Press. Alicke, M. D., & Sedikides, C. (2010). Self-enhancement and self-protection: historical overview and conceptual framework. In M. D. Alicke, & C. Sedikides (Eds. ), Handbook of Self-Enhancement and Self-Protection (pp. 1-19). New York, US: Guilford Press. Hepper, E. G., & Sedikides, C. (Accepted/In press). Self-Enhancing Feedback. In R. Sutton, M. Hornsey, & K. Douglas (Eds. ), Feedback: The Handbook of Praise, Criticism, and Advice Peter Lang Publishing Group. Neiss, M. B., Sedikides, C., & Stevenson, J. (2010). Using secondary data to test questions about the genetic basis of behavior. In K. H. Trzesniewski, M. B. Donnellan, & R. E. Lucas (Eds. ), Secondary Data Analysis: an Introduction for Psychologists (pp. 133-148). Washington, US: American Psychological Association. Sedikides, C., Wildschut, T., Routledge, C., Arndt, J., & Zhou, X. (2009). Buffering acculturative stress and facilitating cultural adaptation: nostalgia as a psychological resource. In R. S. Wyer, C. Chiu, & Y. Hong (Eds. ), Understanding Culture: Theory, Research and Application (pp. 361-378). New York, USA: Psychology Press. Wildschut, T., & Sedikides, C. (2009). Nostalgia. In H. T. Reis, & S. K. Sprecher (Eds. ), Encyclopedia of Human Relationships Thousand Oaks, USA: SAGE. Sedikides, C. (2009). On self-protection and self-enhancement regulation: The role of self-improvement and social norms. In J. P. Forgas, & R. F. Baumeister (Eds. ), The psychology of self-regulation: Cognitive, affective, and motivational processes (pp. 73-92). New York, US: Psychology Press. Gaines, S., & Sedikides, C. (2009). Rewards and costs in relationships. In H. T. Reis, & S. Sprecher (Eds. ), Encyclopedia of Human Relationships Thousand Oaks, US: SAGE. Robinson, M. D., & Sedikides, C. (2009). Traits and the self: toward an integration. In The Cambridge Handbook of Personality Psychology (pp. 457-472). (Cambridge Handbooks in Psychology). Cambridge, GB: Cambridge University Press. Gaertner, L., Sedikides, C., Luke, M., & Iuzzini, J. (2008). Hierarchy among selves: an implication for relations with persons versus groups. In H. A. Wayment, & J. J. Bauer (Eds. ), Transcending Self-Interest: Psychological Explorations of the Quiet Ego (pp. 127-135). Washington DC, USA: American Psychological Association. Gregg, A. P., Sedikides, C., & Hart, C. M. (2008). Self and identity: definition and overview. In S. Berjot, & B. Paty (Eds. ), Stress et faire face aux menaces du soi et de l'identité (pp. 21-31). (Série Stress, santé, société; Vol. 4). France: ÉPURE - Éditions et Presses universitaires de Reims. Sedikides, C., & Luke, M. (2007). On when self-enhancement and self-criticism function adaptively and maladaptively. In E. C. Chang (Ed. ), Self-Criticism and Self-Enhancement: Theory, Research and Clinical Implications (pp. 181-198). Washington, US: American Psychological Association. Skowronski, J. J., & Sedikides, C. (2007). Temporal knowledge and autobiographical memory: an evolutionary perspective. In R. Dunbar, & L. Barrett (Eds. ), Oxford Handbook of Evolutionary Psychology (pp. 505-517). (Oxford Library of Psychology). Oxford University Press. Sedikides, C., Wildschut, T., Arndt, J., & Routledge, C. (2006). Affect and the self. In J. P. Forgas (Ed. ), Affect in Social Thinking and Behavior: Frontiers in Social Psychology (pp. 197-215). New York, USA: Psychology Press. Sedikides, C., & Gaertner, L. (2006). Primacy of personal over collective self and cultural considerations. In M. H. Kernis (Ed. ), Self-Esteem Issues and Answers. A Sourcebook of Current Perspectives New York, US: Psychology Press. Sedikides, C., & Gregg, A. P. (2006). The self as a point of contact between social psychology and motivation. In P. A. M. Van Lange (Ed. ), Bridging social psychology: benefits of transdisciplinary approaches (pp. 233-238). NJ:Erlbaum. Gaertner, L., & Sedikides, C. (2005). A hierarchy within: on the motivational and emotional primacy of the individual self. In M. D. Alicke, D. A. Dunning, & J. Krueger (Eds. ), The Self in Social Judgement (pp. 213-239). Psychology Press. Gregg, A. P., & Sedikides, C. (2005). The self. In G. C. L. Davey (Ed. ), In The Encyclopediac Dictionary of Psychology (pp. 273-274). London, UK: Arnold. Sedikides, C., Green, J. D., & Pinter, B. (2004). Self-protective memory. In D. R. Beike, J. M. Lampinen, & D. A. Behrend (Eds. ), The Self and Memory (pp. 161-179). London, GB: Psychology Press. Sedikides, C., & Skowronski, J. J. (2003). Evolution of the symbolic self: issues and prospects. In M. R. Leary, & J. P. Tangney (Eds. ), Handbook of Self and Identity (pp. 594-609). Guilford. Sedikides, C., & Gregg, A. P. (2003). Portraits of the self. In M. Hogg, & J. Cooper (Eds. ), The SAGE Handbook of Social Psychology (pp. 110-138). London, UK: SAGE. Sedikides, C., Campbell, W. K., Reeder, G. D., Elliot, A. J., & Gregg, A. P. (2002). Do others bring out the worst in narcissists? The "Others Exist for Me" illusion. In Y. Kashima, M. Foddy, & M. Platow (Eds. ), Self and Identity: Personal, Social, and Symbolic (pp. 103-123). New Jersey, USA: Lawrence Erlbaum Associates. Sedikides, C., & Brewer, M. B. (2002). Individual, relational and collective self: partners, opponents, or strangers? In C. Sedikides, & M. Brewer (Eds. ), Individual Self, Relational Self, Collective Self (pp. 1-4). Hove, UK: Psychology Press. Sedikides, C. (2002). Putting our selves together: integrative themes and lingering questions. In J. P. Forgas, & K. P. Williams (Eds. ), The Social Self: Cognitive, Interpersonal and Intergroup Perspectives (pp. 365-380). (The Sydney Symposium of Social Psychology; No. 4). Hove, UK: Psychology Press. Sedikides, C., Campbell, W. K., Reeder, G. D., & Elliot, A. J. (2002). The self in relationships: whether, how, and when close others put the self "in its place". In W. Strobe, & M. Hewstone (Eds. ), European Review of Social Psychology (pp. 237-265). Oxford, UK: Wiley. Sedikides, C., & Gaertner, L. (2001). A homecoming to the individual self: emotional and motivational primacy. In C. Sedikides, & M. B. Brewer (Eds. ), Individual Self, Relational Self, Collective Self (pp. 7-23). Hove, UK: Psychology Press. Sedikides, C., & Green, J. D. (2001). Affective influences on the self-concept: qualifying the mood congruency principle. In J. P. Forgas (Ed. ), Handbook of Affect and Social Cognition (pp. 145-160). Erlbaum. Sedikides, C., & Gaertner, L. (2001). The social self: the quest for identity and the motivational primacy of the individual self. In J. P. Forgas, K. D. Williams, & L. Wheeler (Eds. ), The Social Mind: Cognitive and Motivational Aspects of Interpersonal Behavior (pp. 115-138). Cambridge, UK: Cambridge University Press. Sedikides, C., Wildschut, T., Gaertner, L., Routledge, C., & Arndt, J. (1970). Nostalgia as enabler of self-continuity. In F. Sani (Ed. ), Self-continuity: Individual and collective perspectives (pp. 227-239). New York, USA: Psychology Press. Sedikides, C., De Cremer, D., Hart, C., & Brebels, L. (1970). Procedural fairness responses in the context of self-uncertainty. In Handbook of the Uncertain Self (pp. 142-159). Oxford, UK: Routledge. Sedikides, C., Gregg, A. P., & Hart, C. M. (1970). The importance of being modest. In C. Sedikides, & S. J. Spencer (Eds. ), The self (pp. 163-184). (Frontiers of Social Psychology). New York, USA: Psychology Press. Sedikides, C., Skowronski, J. J., & Dunbar, R. I. M. (1970). When and why did the human self evolve? In M. Schaller, J. A. Simpson, & D. T. Kenrick (Eds. ), Evolution and Social Psychology (pp. 55-80). New York, USA: Psychology Press. Luke, M. A., Carnelley, K. B., & Sedikides, C. (2011). To infinity and beyond! Secure relationships provide the energizing resource to explore. Paper presented at 16th General Meeting of the European Association of Social Psychology, Sweden. Hepper, E. G., Ritchie, T. D., Sedikides, C., & Wildschut, T. (2010). A prototype analysis of nostalgia. Poster session presented at 11th Annual Meeting of the Society for Personality and Social Psychology, United States. Luke, M., Sedikides, C., Gaertner, L., O'Mara, E., Eckstein Jackson, L., Cai, H., & Wu, Q. (2010). I love my multiple selves, but which one is my favorite: motivational primacy of the tripartite self. Paper presented at The 11th Annual Meeting of the Society for Personality and Social Psychology (SPSP 2010), . Hepper, E. G., Ritchie, T. D., Sedikides, C., & Wildschut, T. (2009). What is nostalgia? A prototype analysis. Paper presented at Annual Meeting for United Kingdom Branch of European Social Cognition Network, United Kingdom. Luke, M. A., Hepper, E., & Sedikides, C. (2008). Feedback is the breakfast of champions: the psychological costs of enhancing, improving and variable improving feedback. Paper presented at The 9th Annual Meeting of the Society for Personality and Social Psychology, United States. Hepper, E. G., Luke, M. A., & Sedikides, C. (2008). Good, better, best: consequence of enhancing, improving and variable improving feedback. Paper presented at The 15th General Meeting of the European Association of Experimental Social Psychology, . Hepper, E. G., Gramzow, R. H., & Sedikides, C. (2008). Integrating self-enhancement and self-protection strategies. Poster session presented at 2nd Southampton Symposium on Self and Identity, United Kingdom. Hepper, E., Luke, M. A., & Sedikides, C. (2008). To self-enhance or self-improve? Effects of repeated self-relevant feedback. Paper presented at The Self and Identity Preconference to the 15th General Meeting of the European Association of Experimental Social Psychology, Croatia. Luke, M. A., Carnelley, K. B., & Sedikides, C. (2008). You light up my life! The energizing effect of positive attachment models. Paper presented at The 2008 Biennial International Conference of the International Association for Relationships Research, . Luke, M. A., Sedikides, C., & Gaertner, L. (2006). Motivational primacy in the three-tiered self. Paper presented at The 7th Annual Meeting of the Society for Personality and Social Psychology, . Luke, M. A., Carnelley, K. B., & Sedikides, C. (2006). You turn me on! The energizing effect of secure relationships. Paper presented at The 2006 Biennial International Conference of the International Association for Relationships Research, . Luke, M. A., Sedikides, C., Nesteruk, D., & Cardy, D. (2005). I shall not be overcome: psychological consequences of enhancing, consistent-improving, and inconsistent-improving feedback. Paper presented at 6th Annual Meeting of the Society for Personality and Social Psychology, United States. Luke, M. A., & Sedikides, C. (2005). Is bettering the self better than enhancing the self? : Psychological consequences of self-improving and self-enhancing feedback. Paper presented at The 52nd British Psychological Society's Annual Social Psychology Conference, United Kingdom. Gaertner, L., Sedikides, C., Luke, M., & Iuzzini, J. (2005). Motivational primacy among individual, collective, and relational selves: Implications for social relations with persons vs. groups. Paper presented at The Quiet Ego Conference, United States. Luke, M. A., Cobb, A., Sedikides, C., & Nesteruk, D. (2004). The rise and fall of self-enhancement: psychological consequences of enhancing and improving feedback. Paper presented at The 5th Annual Meeting of the Society for Personality and Social Psychology, . Juhl, J., Routledge, C., Hicks, J., Sedikides, C., Eid, M. (Ed. ), & Robinson, M. D. (Ed.) (Accepted/In press). Can affectively negative experiences contribute to well-being? The affectively negative need-fulfillment model. Berlin, DE: Springer. Sedikides, C., Luke, M. A., & Hepper, E. (2009). Affective consequences of self-improving and self-enhancing feedback. (Discussion Papers in Management). Southampton, UK: University of Southampton. Gaertner, L., Sedikides, C., Luke, M., O'Mara, E. M., Iuzzini, J., & Eckstein-Jackson, L. (2009). Motivational primacy in the tripartite self: where in lies the relational self? (Discussion Papers in Management). Southampton, UK: University of Southampton. My main teaching interests are on self and identity.